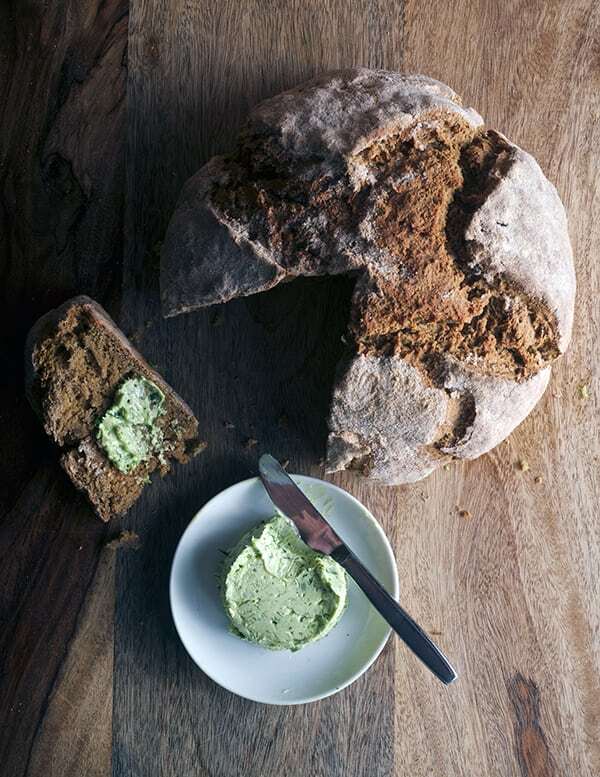 Irish Stout Soda Bread ~ Yes, more please! 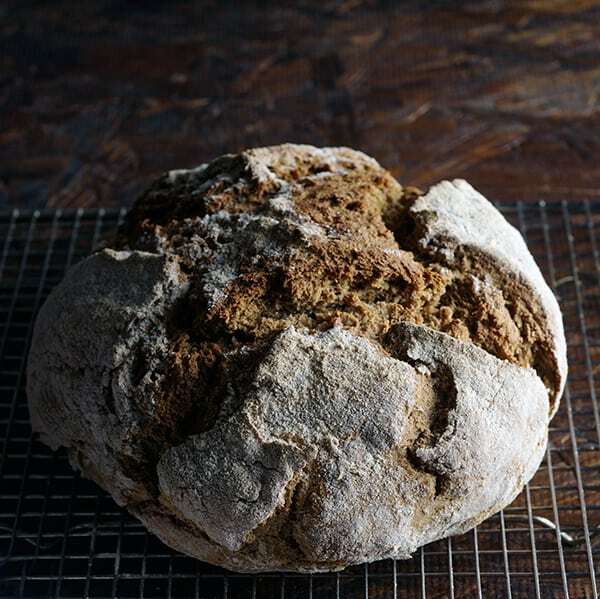 I think I have a new bread love; Irish Soda Bread, the traditional kind. I remember trying some version of sweet Irish Bread with raisins and caraway seeds but honestly it was not remarkable at all. So I did my research and gave myself some time to bake a couple of loaves. 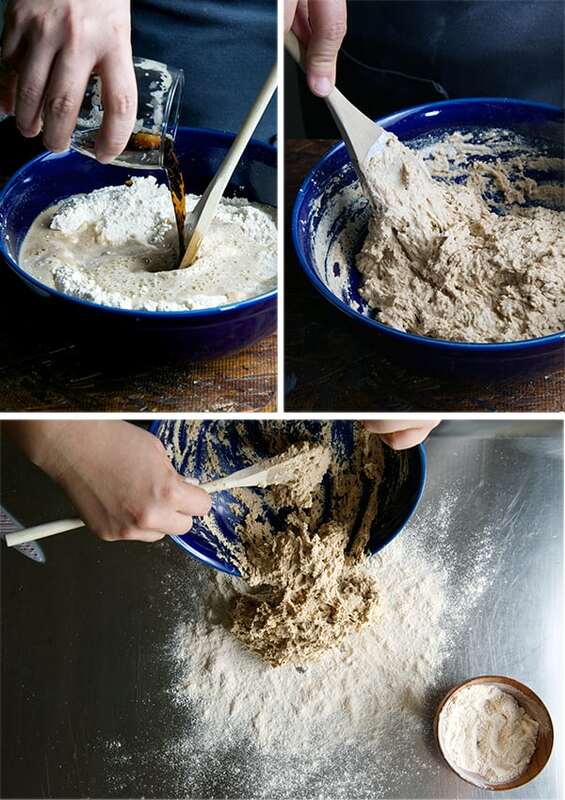 I experimented with different types of flour, combining them and using different ratios, like buckwheat flour, rye, whole wheat, oatmeal and regular all-purpose flour. Some of the recipes I used called for egg, and butter others called for oil an buttermilk, some sugar and toppings, like currants, rains caraway seeds…Oh my! There are many varieties. What I learned by making all these recipes and by reading the origin of the bread is that less is more. The loaves kept becoming denser and denser as I played with the egg- butter and butter milk ratios and were not great in flavor. So I decided to start eliminating ingredients and get a bit closer to the more traditional 4 ingredient loaves. The last loaf I made using whole wheat flour, oatmeal flour and Guinness beer was spot on, supremo! This is the recipe I’m sharing with you today. 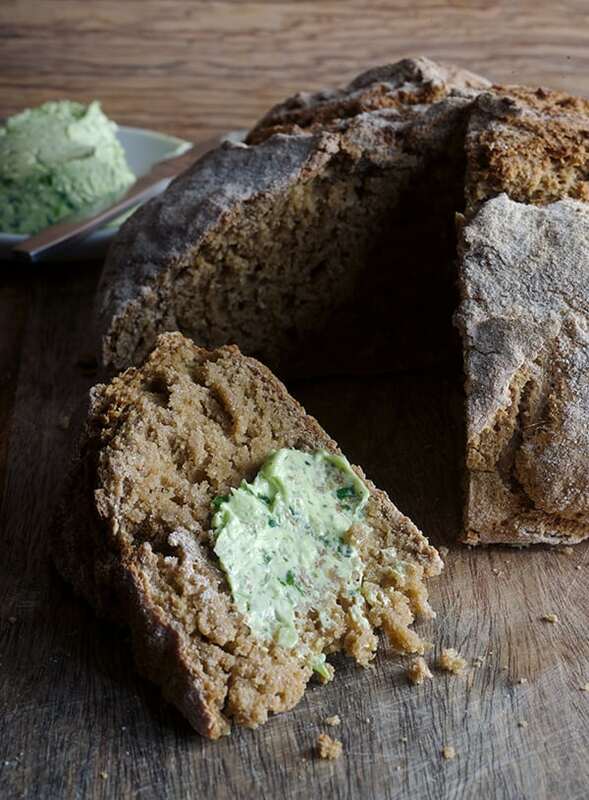 This bread is one of the easiest and quickest breads you can make. 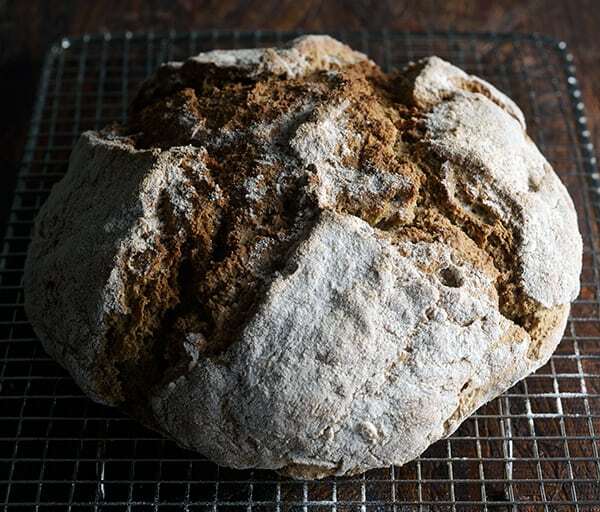 No need of proofing time, no kneading and the result is a tender crumbly bread that resembles a light biscuit. The bread bakes in about 40-45 minutes, so in less than an hour you have freshly made bread! How’s that? What is not to like about this bread, after knowing all this good attributes?! I will recommend this bread to be a side for soup, great for breakfast with some butter and jam. And of course it goes well with some cheese and beer. I made a compound butter with garlic and scallion that goes perfect if you are just having a simple beer snack or accompaniment for a more robust dinner. 1. Preheat the oven at 375 F/ 190 C and place the oven rack in the first third of the oven. 2. Combine all the dry ingredients in a medium bowl, make a well in the center. 3. In the center of the well, add the butter milk and the stout. 4. 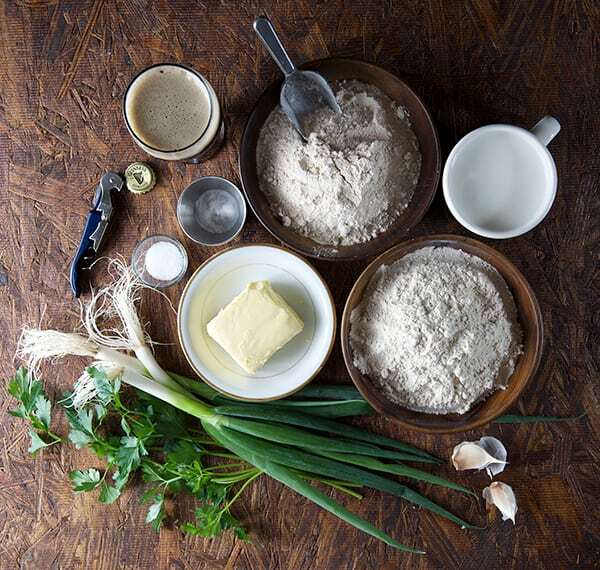 With a wooden spatula, combine all the ingredients until you have a rough dough. 5. 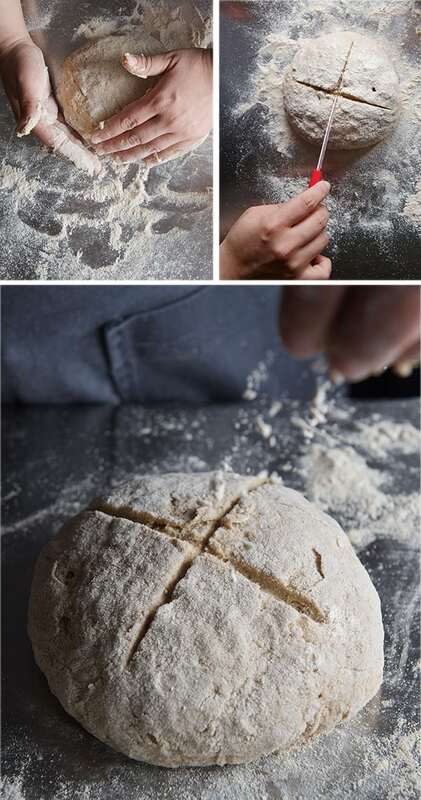 Turn the dough onto a lightly floured surface and shape it into a ball. No kneading required. 7. Bake for 35-40 minutes. Checking for doneness: the bottom of the bread looks golden brown heavy crusted and it should sounds hollow when tapping the bread. Place on a cooling rack. wait at least 25 minutes to cut. Enjoy! 1. In a food processor combine all the ingredients and pulse 4-5 times until well combined, and the butter looks a little green. 2. cut a piece of parchment paper or plastic wrap and make a butter cylinder, tighten the edges by twisting them opposite ways. 3. 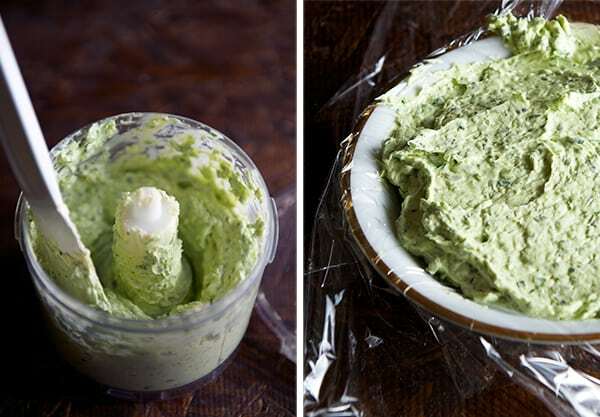 Refrigerate until it holds its shape or live it room temperature to use as creamy bread spread.